Safe and secure, Urban Oasis has decent parking facilities, 24 hour security and a reception counter manned by customer-care personnel to answer all queries posed by guests. Security is our primary concern. All our properties are monitored 24x7 by security personal with modern equipments. Engaged in providing Services such as 24 hours security. 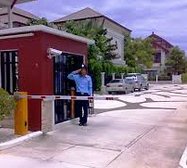 We are the well known name engaged in offering 24 Hours Security Guards to our clients. Our guards help in maintaining a safe and well managed environment and they are completely fit, both physically and mentally. The security services offered by us are priced economically and guarantee unmatched quality.